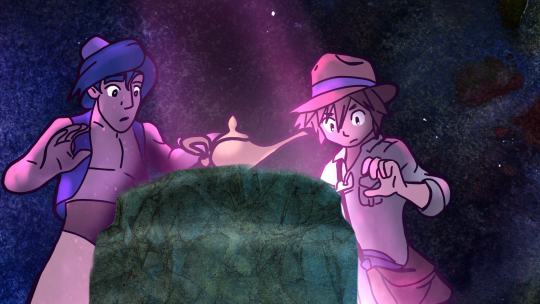 Hiii I did this before, but my style's improved and the recent unearthing of the storyboard for the canceled series made me want to take another crack at some screenshots, so, with some help of old concept art here are some pieces of what a modern kh animated show might look like in the vein of shows like the Mickey Mouse shorts, Steven Universe, Gravity Falls and the upcoming Duck Tales reboot. I like them, especially the first one with SDG! Nice work. 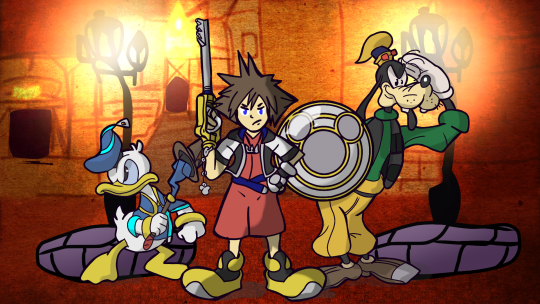 I love the idea and the drawings, I also had a concept for a KH Animated series but it was long before finding out thereÂ´s one in the works and later cancelled. Your drawings are so beautiful Dandelion! I really love the concept art feel from the third drawing with Terra and Aqua. 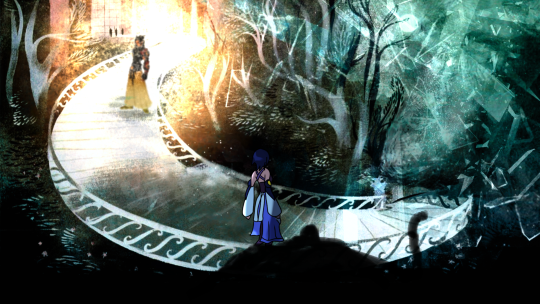 The way you use textures remind me of Disney artists like Joey Chou. Oh my goooooood I love Joey Chou, he and Mary Blair are huge influences of mine. 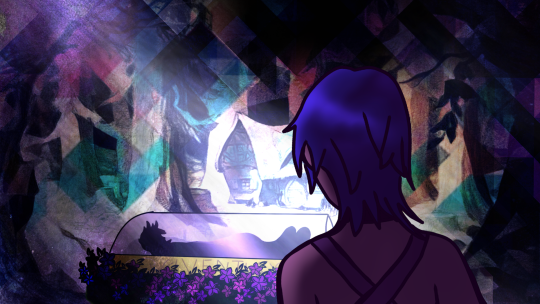 I used Blairs concept art of Cinderella as a composite piece in one of the Aqua pictures. I love working with textures and concept art to breathe new and old life at the same time. I wish the work was a little cleaner but I'll improve with more time. I definitely get Joey Chou vibes from this too, I really like the look of this! The Aqua and Terra piece really stands out, I dig what you've done here. Hi, I don't believe we've met before, but let me say this is definitely some interesting work. It's like catching a glimpse of the next fan-made web-comic in a similar way that Shiro Amano's KH manga series took off (lol). I especially like the third piece! I especially like the Darkside Picture. It looks so mystical. Aqua and especially Yen Sid look so awesome. Oh my god Aqua in that cart lmao so sweet. Thank you guys! The darkside piece is another composite piece using concept art from Sleeping Beauty and Nomura concept art for the darkside. Good job on those Tinny!